Employed with Adventure Subaru since October 2015. Cayla started as an Encore Delivery Specialist in April of 2017 after being our receptionist for a little over a year. When she saw the position open up, she knew instantly that this was the job for her given her bright personality and willingness to go above and beyond for our customers. Her job entails inviting customers back to the dealership who have recently purchased new Subarus between 14-45 days of their purchase to go over any questions they might have and to give a full description of the functionality and use of the Subaru technology within their vehicle. She honestly is your "go-to" contact to provide in depth information on your Subaru both inside and out. When you return for your Love-Encore visit, it's a perfect opportunity to ask questions about all the "bells and whistles" of your new vehicle. She can even provide full demonstrations of your vehicle's features if desired. With Cayla's help you will leave our dealership confident and having a deeper understanding of how your vehicle's technology enhances your driving experience. 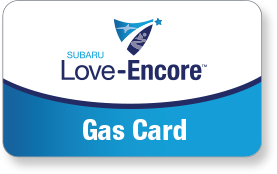 She also loves most getting to reward our customers with a $25 gas card for coming back in. After all is said and done, she is always available as a point of contact for future questions big or small! As part of our Love Promise, Cayla hopes to exceed all your expectations in providing a superior delivery experience. Give her a call or shoot her email should you have any questions about your Subaru.